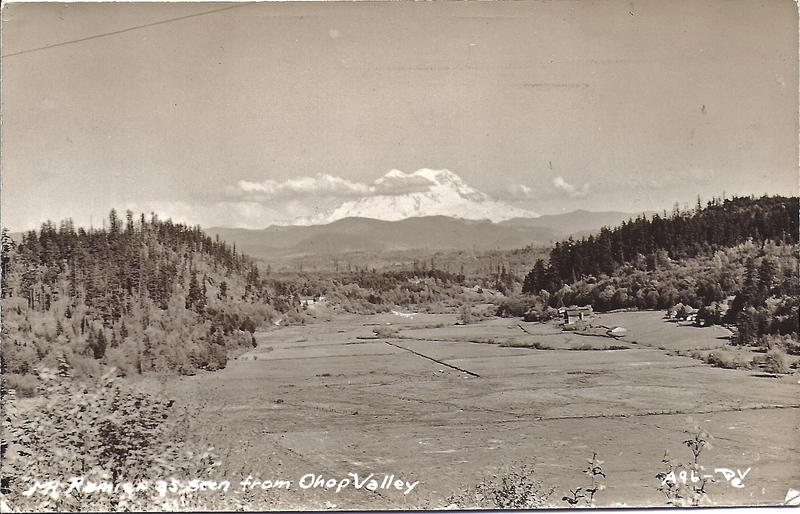 Got these two RPPCs (real photo post cards) off Ebay of Ohop Valley. They show the early farms and their development. 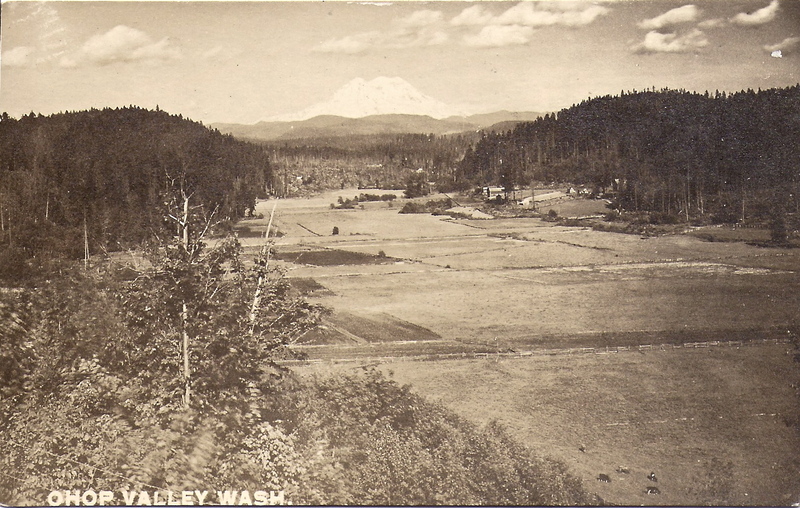 The first one was taken been 1907-1920, then second was a little later (ca. 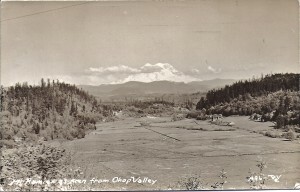 1930s). The trees have grown in some, and another barn went up. The RPPCs are a great piece of history — people capturing the pieces of history with their Kodak cameras. On the backs of the cards you came sometimes tell the date based on the printing. Here’s a resource if you’re curious about any of your RPPC dates. Real Photo Guide.